Elvis's Statue. 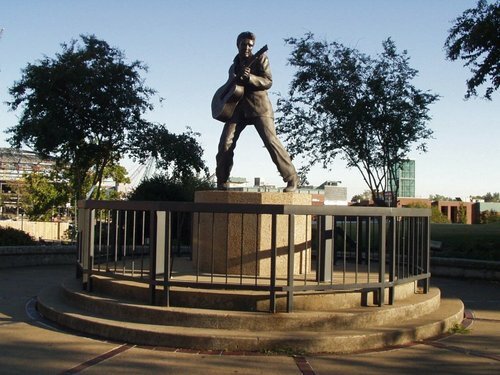 A fitting tribute to Elvis the king of rock and roll,a statue in Memphis. HD Wallpaper and background images in the Elvis Presley club tagged: elvis presley king performance music rock and roll statue.